Jude's life has been turned upside-down thanks her new mant, Piers Targett, who's keen to get her involved in his hobby—or obsession—of Real Tennis. 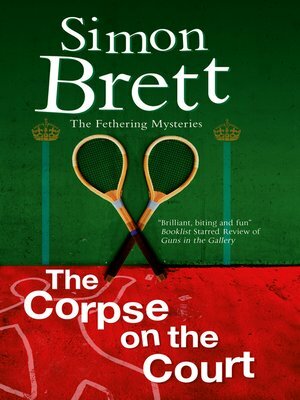 But when one of Piers' friends dies on the court in suspicious circumstances, Jude finds herself caught up in the police investigation. Meanwhile, Jude's neighbour Carole is trying to identify the human remains known locally as the 'Lady in the Lake.' As the two investigations become intertwined, Carole and Jude's efforts to find the truth look set to lead to more murders.